A musical art installation has been created in an underpass in Poland, paying homage to the culture of the city. 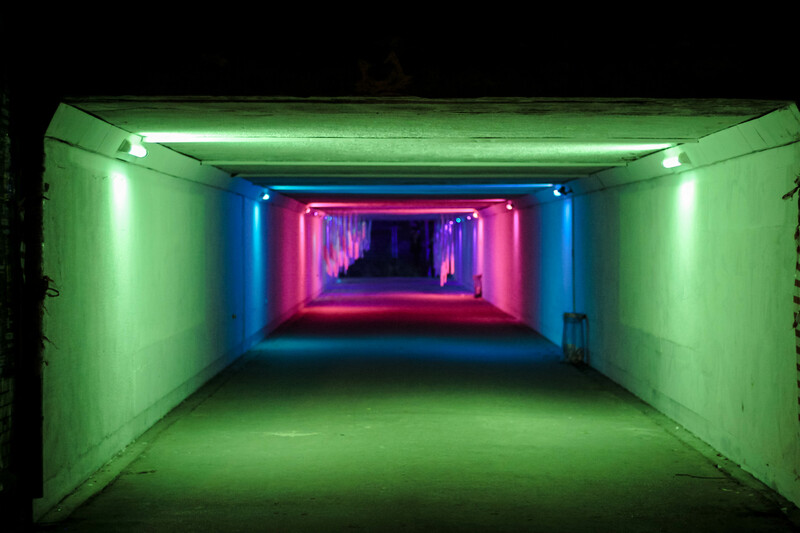 The underpass connecting Tylna Mariacka and Wojewódzka street in the city of Katowice, Poland, has recently become a spectacular array of colours and sounds. 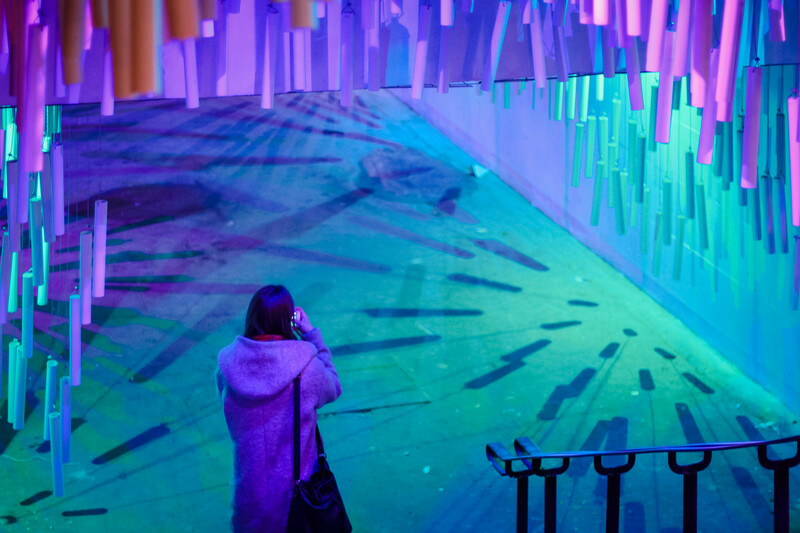 Dubbed ‘The Music Tunnel’, an artistic and musical installation now calls the public space home, inviting passersby to stop and interact with the project. 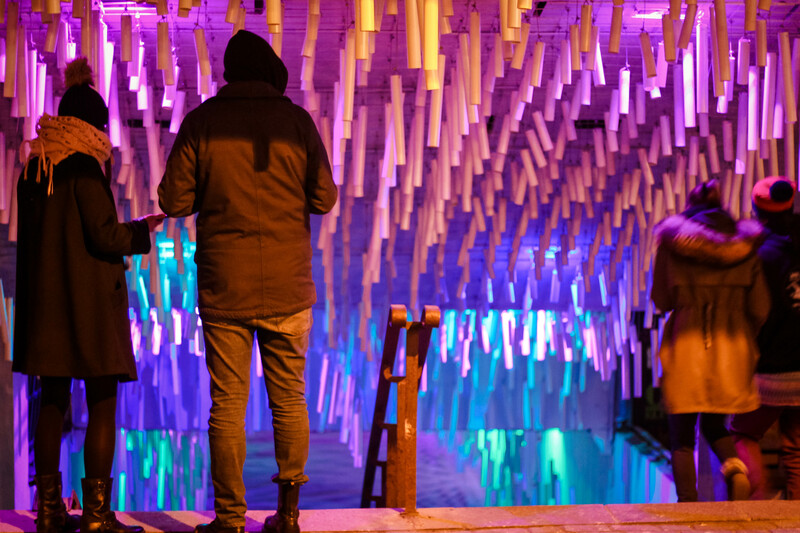 The installation was designed by antyRAMA collective and was made to pay homage to the culture of Katowice, a city that hold the title of Creative City; the honour was awarded by UNESCO for the area’s long musical tradition and strong support of a thriving music culture. AntyRAMA collective explained that they believe that “music is one of the inherent elements of human culture”, making the Music Tunnel project all the more special. 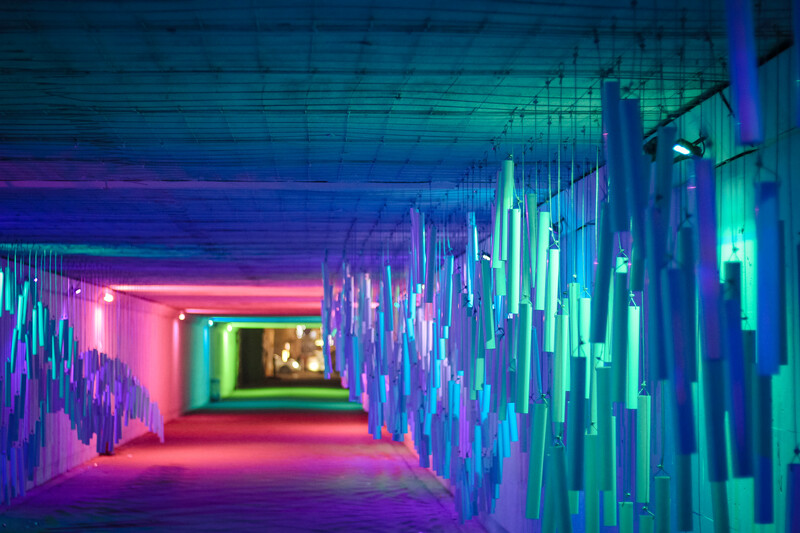 The concept of the Music Tunnel was to create an artistic installation that focuses on the sounds that are created by its parts. It offers an opportunity to discover the musical potential of those who interact with it, and also acts as an example of how urban spaces can be reformed to make them more aesthetically appealing. 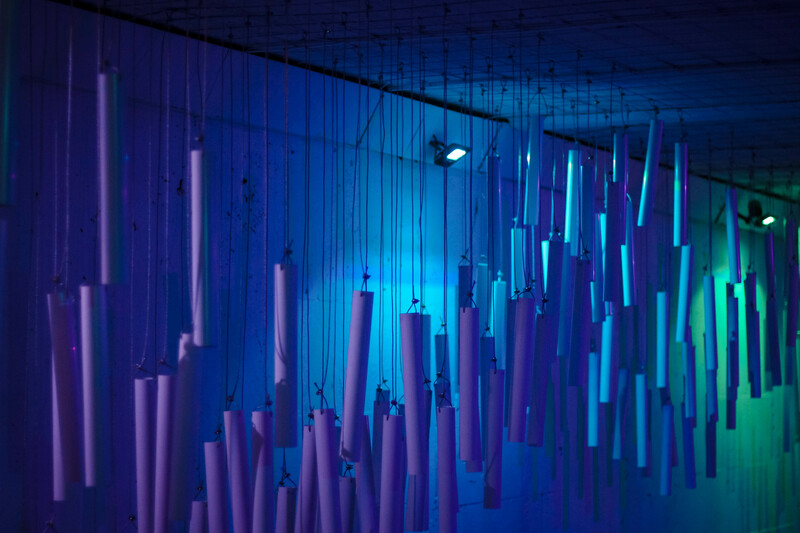 The Music Tunnel is made from a composition of PVC pipes which hang from the roof of the overpass; together these create a sound wave that filters through the space. A constant breeze moves through the tunnel, causing the pipes to knock into each other, creating the sound effect. Various colours of LED lights have been fitted to compliment the sounds, illuminating the installation and further engaging individuals who pass by. The tunnel itself was fully refreshed before the pipes were installed; it was repainted in white, helping make the LED colours more vibrant. As viewers move towards the exit on Wojewódzka street, the collection of hanging pipes becomes denser, inviting pedestrians to touch and move the pipes to make them ring. This added element was very important to antyRAMA, as it makes viewers “an essential part of the art installation”. The full project was designed antyRAMA in cooperation with the internship programs: "CHMURA" and "FALA" as a part of the grant program "Muzykogranty 2017" of the Institution of Culture Katowice - City of Gardens.